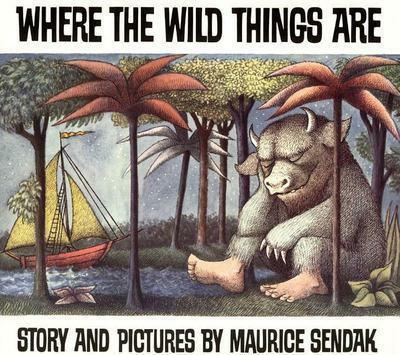 Throughout the week, every year group will be reading the same book: Where the Wild Things Are by Maurice Sendak and on Thursday 1st March and Friday 2nd March, dance workshops have been booked and the children will work with choreographers to create a dance in response to our school book. Where The Wild Things Are tells the story of a boy named Max, who is making mischief throughout his house. Max is seen throughout the book wearing a wolf suit, a king’s crown, and a mischievous grin. After chasing the family dog around the house with a fork, Max is sent to his room without any supper by his mother. He then begins a magical journey, in which his room transforms into a new world populated with creatures named the Wild Things, where he is soon made king. Max is in control of his life in the land of the Wild Things, but soon finds himself homesick and yearning to go back home to eat his mother’s supper. Written by Maurice Sendak and published in 1963 the book won The Caldecott Medal for the most distinguished picturebook of the year. Finally, Friday 2nd March it will be our Dress Up as a Character day! Your child can come dressed up as any character from a book – we would like to encourage children to come as characters from a story. There are lots of ideas for inexpensive, homemade costumes on the internet (like this) and we would encourage you to get creative! We look forward to seeing all the different book characters fill our school! At the start of the week we will be sending out details of our poetry competition with big prizes to be won!